As concerns about environment and power usage has grown, usage of nuclear power has become a controversy to many countries. Many debate to use it as continuing to use fossil fuels greatly harms our environment, and many debate not to use it as they are worried about the radiation and economic meltdown in the future as building a nuclear power plant costs billions. My stance on this long debate is anti-nuclear. Firstly, the effects of radiation poisoning from the nuclear accidents, like the one in Chernobyl, was devastating. Other than that, the waste materials they produce emits radiation for thousands of years. And being exposed to radiation isn’t good either as we can see from the effects it brought to countries like Japan that had nuclear accidents before. For example, they couldn’t eat much food because some livestock got radiation poisoning and it can get transmitted to people if they eat them. Also, although the power plants aren’t “emitting carbon,” the way they get their fuel, or uranium isn’t CO2-free either. In fact, uranium mines inevitably pollute our environment. Wastes they produce are very radioactive and high in temperature, harming our environment. Furthermore, using nuclear power plants are very costly and can cost until $9 billion, and can take a long time to build. Another disadvantage is that there are finite resources that they can use and they don’t work forever. So they have to make another one again after so many years. Other than those, having access to nuclear power is very dangerous as there are terrorist groups existing today and if they can get the information, it can get dangerous for the people as they can have nuclear power and make nuclear weapons that they can threaten the world with. Constructive Interference – when two crests/troughs from two sources meet, the energies combine to form a larger wave. Destructive Interference – when a crest and a trough from two sources meet, the energies are against each other, leading to the waves cancel out each other. Standing Wave – when two interfering waves have the same wavelength and amplitude, the result is that the interference wave pattern remains the same or stationary. The point where the wave is at rest is called a node. 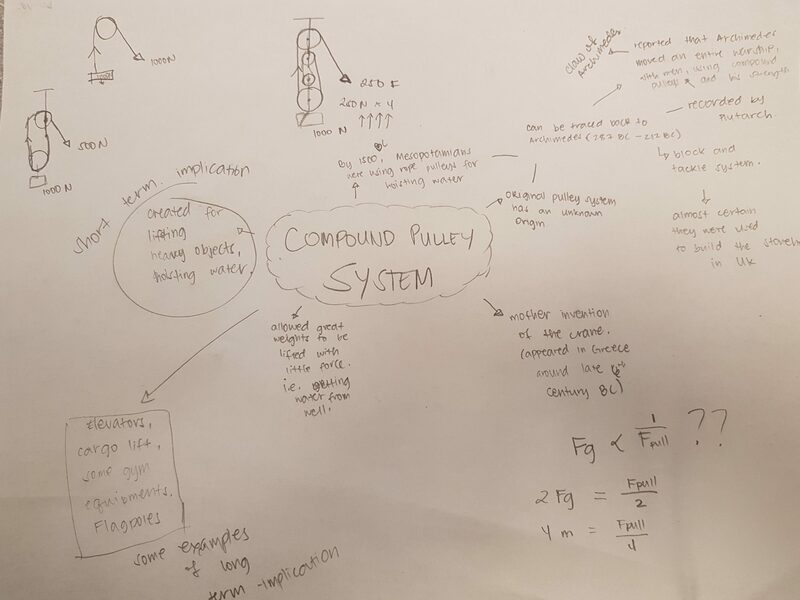 The compound pulley system is adapted from the original pulley system – one fixed and one moving pulleys. The first usage of the compound pulley system can be traced back to Archimedes – recorded by Plutarch, a Greek biographer. Some are almost certain that they used it to build the Stonehenge in the UK. What happened is that Archimedes used many compound pulleys to move an entire warship using his own strength, which is now known as the claw of Archimedes. So, how exactly did he do that? It’s because the reason why the pulley systems are built – they are designed to lift great weights using lesser force needed. They are built mainly to get water from wells and lifting heavy objects. Now, compound pulley systems are used to lift elevators, they are also used in boats and cranes, and there are even gym equipments that use compound pulley systems! The physics behind the pulley is that, it reduces the amount of force needed to lift the object depending on how many pulleys that you have, and the amount of weight the object you’re lifting has. In our project, we’ve decided to have one fixed pulley and one moving pulley. So, let’s divide this into two parts. This is where most of the physics is going on. The pulley is being supported by two ropes. Since that’s the case, the amount of force that we need to apply to lift the weight is half the object’s weight for each pulley. F = force applied to pull the rope. This might be a minuscule example, but it’s certainly useful, especially the ones that are really stable and with many pulleys, because you’d be able to lift great weights without exhausting a lot of force. 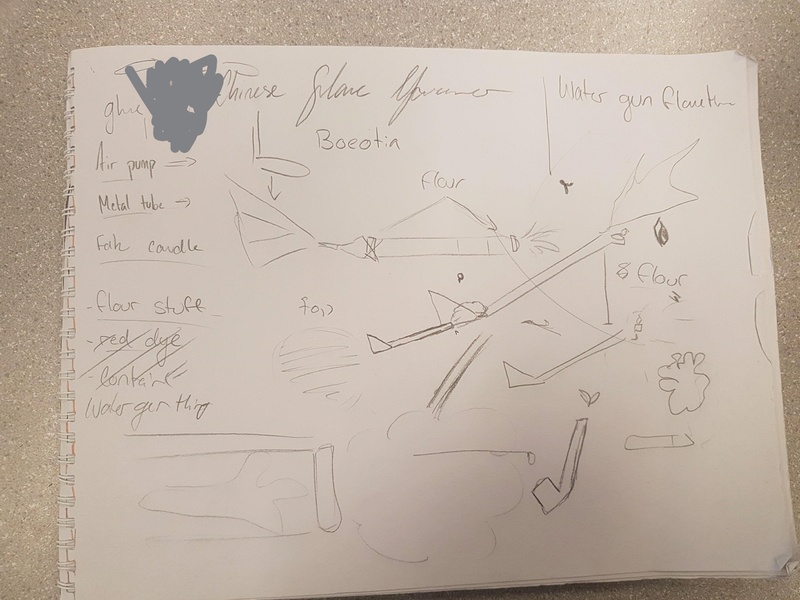 To not confuse people, we wanted to build an ancient flamethrower initially. However, we met a mishap in the middle of building it due to lack of information of materials needed. I have to admit that it was a fault on our part. So, we had to build a compound pulley system instead. We were deciding which machine we would build, and we had agreed on the ancient flamethrower as it piqued our interest. 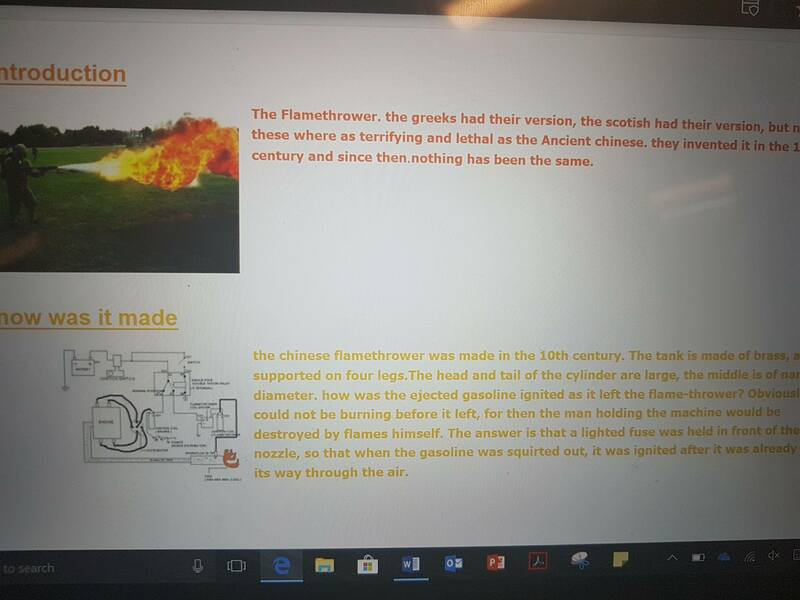 Then, we started researching on how to build it, the materials needed, and which flamethrower we should base our project into. We tried to build it but as we still didn’t have enough information we couldn’t figure out how it would work, sadly. So what we did is to research more about it, and as well as the physics behind it. Nothing too time-efficient, unfortunately. 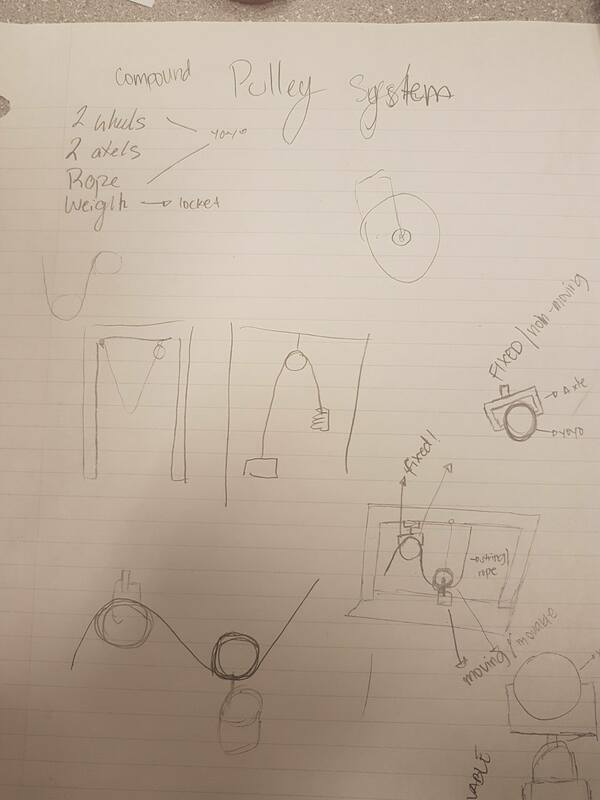 Seeing that we were anxious as how we were not much efficient in building the flamethrower, we decided to gamble and researched about the compound pulley system instead. We were able to plan it out smoothly this time, but our only challenge is time. So, we decided to search everything that we would include in our blogs and our design for our machine. On day 5, we had our materials and built our machine, but we messed up at some point and had to restart building it. made a glider for our moving pulley just at the right height for the frame of our machine. 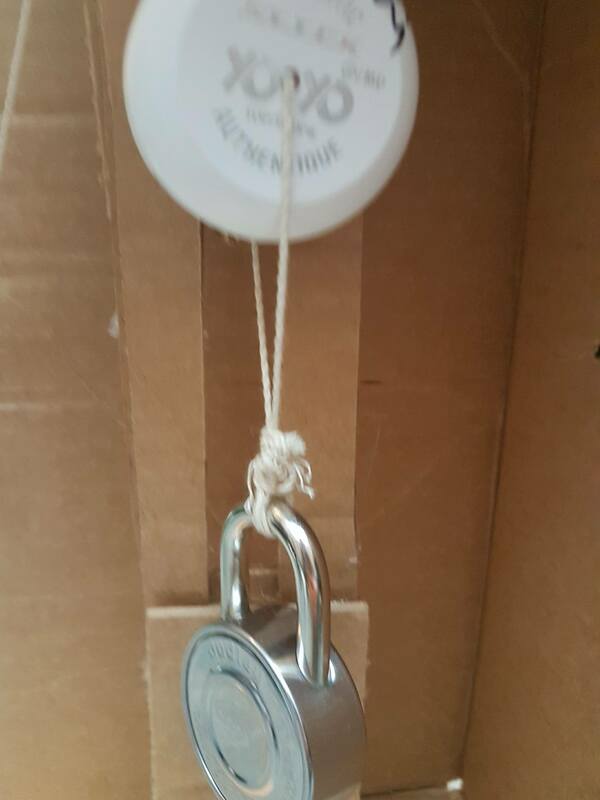 drilled into the center of the movable pulley so we could attach the lock. 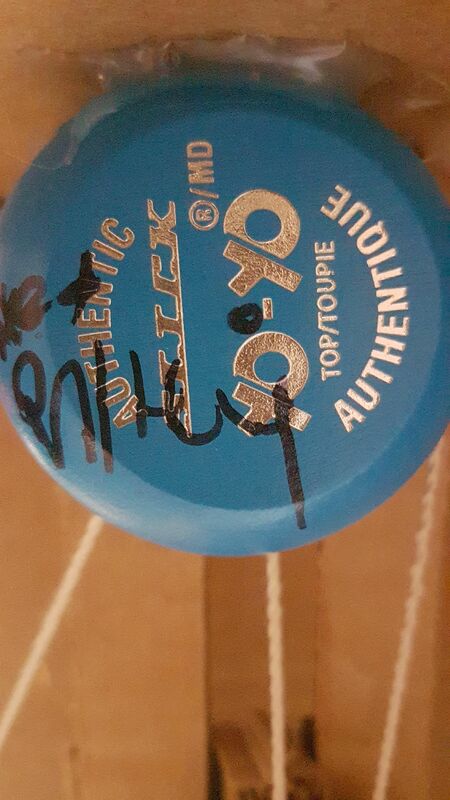 put on the string to our pulleys (which are yo-yo’s). attach the second rope for our moving pulley at the roof of our frame. glued the fixed pulley on the top of the frame. Hello! In this blog post, I will talk about and analyze Newton’s Three Laws of Motion and apply them to real-life situations. This post will be divided into three parts: First Law, Second Law, and Third Law. Newton’s first law of motion states that a body or an object at rest will remain at rest, and a body or an object in motion will remain in motion, unless acted upon an outside force. This law is typically called the law of inertia. So what is inertia? It is the tendency for all the objects to resist change in their states of motion. It is dependent on mass. It means that any object has a tendency to not change what their state it: whether they are moving or at rest. All objects resist a change in their motion. If they are in rest, they will remain unmoving, and it they are moving, then they will not stop moving. Unless, they are overcame by an outside force. Let’s take a look at this example to understand it a little better: a pushed, moving cart. Let’s recall what inertia is: the tendency of an object to resist change in motion. As we can see in the video, the cart was in rest, however it was pushed by an outside force and moved. After that, it went back to rest (not moving) again. So, how exactly does the law apply to this situation? Remember that every object resists change in motion. Even though the cart was moving, but due to the cart’s natural state (at rest), it will continue doing that. And when the cart was pushed, then it will move, and it will keep continue moving. But wait, didn’t the law state that if an object is moving, then it will continue to move? Then, why did it stop moving? Newton’s second law of motion states that if an unbalanced force acts on a body, it will accelerate. This law should be easy to comprehend, because we already know this in our heads unconsciously. We know that we should not kick a big rock like we kick a soccer ball, right? So what does this mean? Well, the greater the mass of the object, the greater the force needed to accelerate it. -acceleration is directly dependent on the unbalanced(net) force and it’s inversely dependent on the mass of the object. So basically, a is acceleration; m is mass; Fnet is the unbalanced force. For a deeper understanding, let’s look at this video. As we can see here, we have two objects: a mouse and a popsicle stick. We all know that the mouse is a lot more heavier than the stick. And as said earlier, more mass means more force needed to accelerate it. Now, as seen on the video, when both of them was flicked, the popsicle stick moved away faster and farther than the mouse. So how does the law apply to this? Well, since the popsicle stick had less mass than the mouse, it accelerated faster with less net force needed. On the other hand, the mouse needed more net force to accelerate it. This law won’t always work on something that is moving uniformly (constant speed), because it has no acceleration. Why? Well, since acceleration is directly proportional to the net force, if there’s no acceleration, then there are still forces acting upon it, but the forces are balanced with one another. Another perspective is looking at the formulas. Since Fnet = ma, if your acceleration is 0, then there’s no Fnet. The law itself is pretty much self-explanatory. So, for every movement or action, there will be an action and a reaction. Now, let’s take a look at this video of a ball dropping and bouncing off the floor. The opposites reactions would be the same, but in different meanings. Action: The ball pushing down against the floor. Reaction: The floor pushing up against the ball, making the ball bounce, which makes an opposite reaction.